Please also ‘like’ our Facebook page. The Raven History Group is commencing the above course on Saturday 2nd of February in Skerries GAA club on the Dublin Road from 10.30 to 12.30. At course end we hope to visit Spain for a week and visit the main sites associated with the conflict. 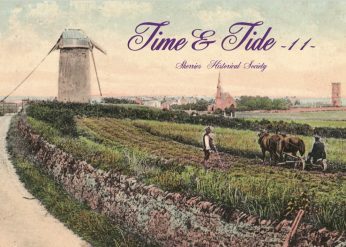 In addition we plan a few outings later in the Spring to various locations of historical interest . €50 per person and €2 for coffee. Informal friendly group.All welcome. Text 0879549700 or E-mail sog1@campusie.onmicrosoft.com for further information. 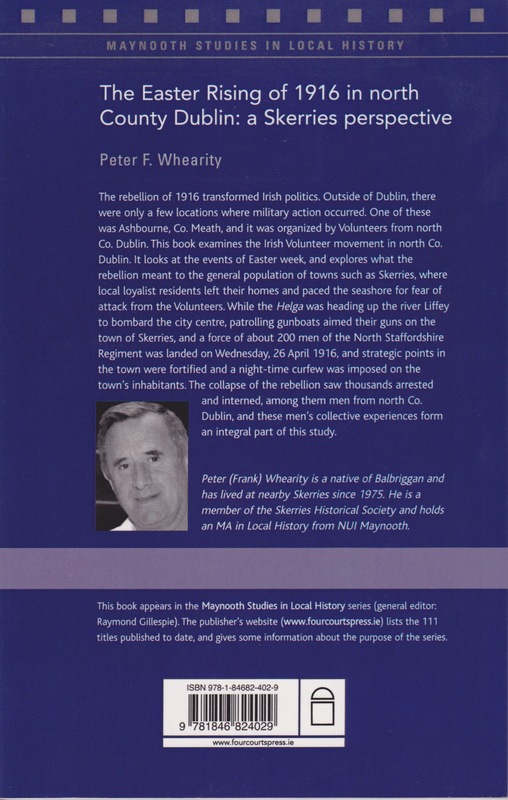 Abarta Heritage were appointed as consultants to give training to the six groups on a method of collection and ideas of were to collect information along with research resources. This has now been consolidated into a manual which provides information and guidelines to volunteers on all aspects of the project. This is a continuing project to be worked on until as much of the fields of Fingal have been recorded as possible. Phase 2 of the project will continue to expand on the work started in Phase 1. If you are interested in participating please contact Geraldine Clarke on 086-3468602 or email oldskerries@gmail.com. 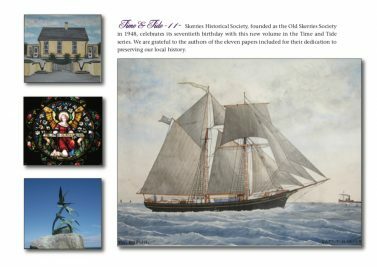 This is for everybody in the local community, you do not need to be a member of Skerries Historical Society. 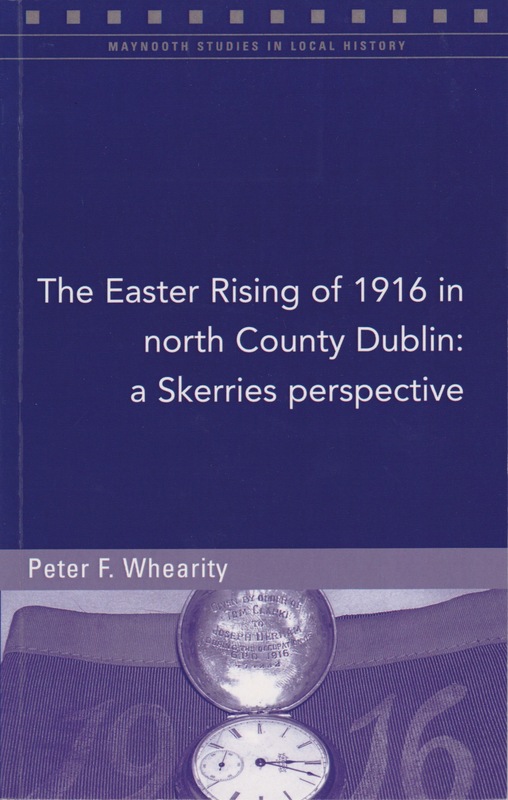 Book by Frank Whearity – ‘The Easter Rising of 1916 in north County Dublin: a Skerries perspective’. 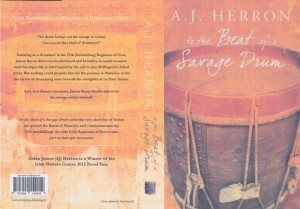 Book by Aidan J Herron entitled ‘to the Beat of a Savage Drum’. Aidan Herron is a Winner of the Irish Writers Centre 2015 Novel Fair. 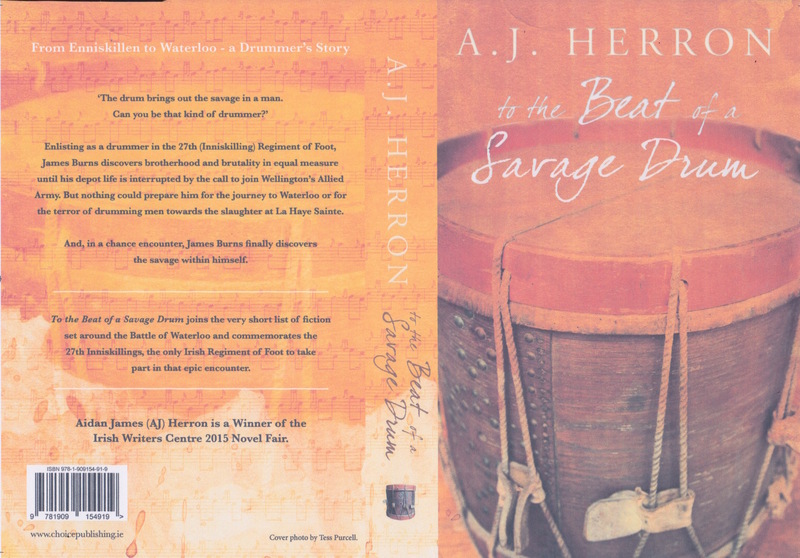 ‘To the Beat of a Savage Drum’ joins the very short list of fiction set around the Battle of Waterloo and commemorates the 27th Inniskillings, the only Irish Regiment of Foot to take part in that epic encounter. 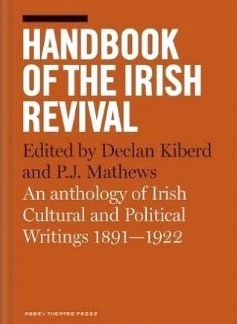 Skerries Historical Society is delighted to find that one of our past speakers, P J Mathews, has produced a wonderful new book in collaboration with fellow UCD academic Professor Declan Kiberd. Regulars at the SHS talks will recall P J Mathews’ talk in January 2012 when he painted a fascinating verbal portrait of his grandfather, Paddy Mathews, the Milverton Quarry stonemason. P J and his collaborator, Prof. Kiberd, have now gathered a varied collection of texts from the period between 1891 and 1922 for the ‘Handbook of The Irish Revival’, which has been nominated for an Irish Book Award in the Best Irish-Published Book of the Year class. There are six books shortlisted in this class – all of them look to be very interesting – and we wish P J and Declan all the best in the Irish Book Awards.